How Does Florida keep so Hot? The Caps had several days to get some injured players healed and back in the lineup, although now we have new questions about Alex’s cortisone shots. Whatever the target, maybe that’s why he’s been in his slump…or maybe he just needs to have his desk moved from pal Nicky for a while, which Coach seems inclined to do. The Florida Panthers, however, are not resting, playing the Canes tonight before traveling up to Verizon for a Saturday do-si-do in DC. It’s an interesting match – one team well rested, the other less so…and then we trade invites and the Caps hit the road as guests of Florida next Tuesday. Blah blah blah…let’s get to the meat of the post. And speaking of, as painful as this is to say, as a rule, the Panthers are an exceptionally good-looking lot. Bienvenido a Miami indeed. First up is left wing #10 David Booth. 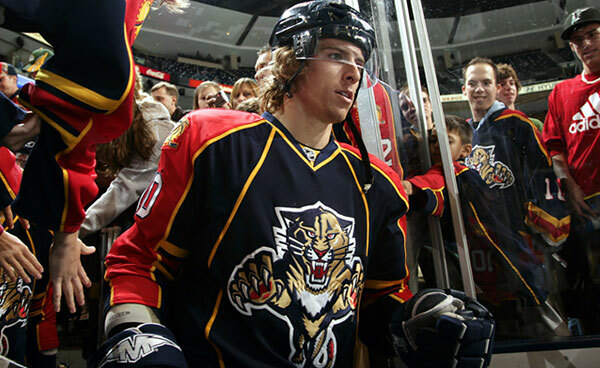 A former Spartan – ya gotta like that – Booth’s been with the Panthers for his entire pro career. He’s tied for second on the team for goals…and he still hasn’t lost that goofy midwestern charm. 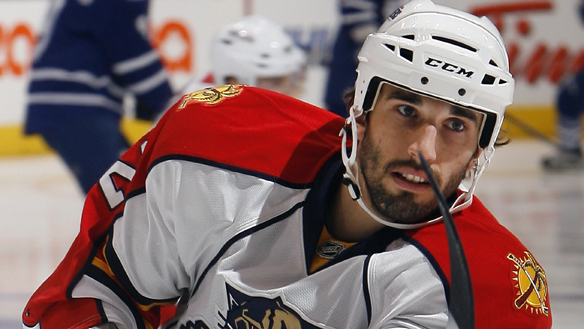 Jason Garrison is another stand-out – in play and style. The 6’2″, 26-year-old defensemen looks every inch the western Canadian-boy out there on the ice. We’d love to see him off it as well. There’s others…lots of others. Marty Reasoner, Bryan Allen, Mike Frolick, even old man Darcy Hordichuk. And no, 30 should not make anyone an ‘old man’. 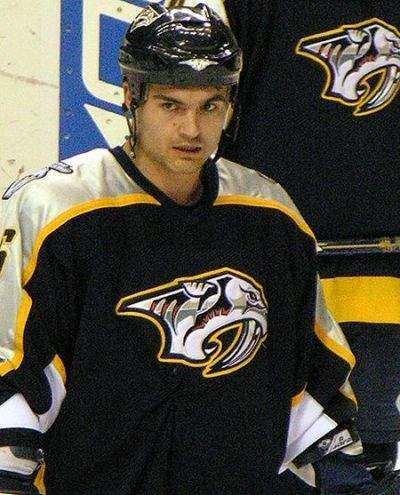 He’s played around the league, and has been in a bit of a slump lately. Perhaps he should try pouting a little less. Anyway, that’s your Panther’s Scouting Report. Cats. I never liked cats. Bad Kittehs!! 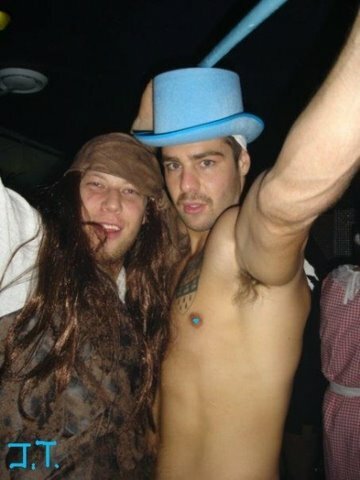 This entry was posted in Uncategorized, Washington Capitals and tagged Darcy Hordichuk, David Booth Chris Higgins, Jason Garrison, naked Halloween parties, Scouting Report; Florida Panthers. Bookmark the permalink.